Smoke signals fuming from the V.I.C.I.N.I.T.Y. of El Cerro de las campanas, o algo así, arrojaron [ayer] lo que bien pudo haber sido el platillo principal de la Última Cena de Elvis Presley. Ladies in Gemeni, Elvis Presley ate Coq as his last meal, and so will Donald Trump. 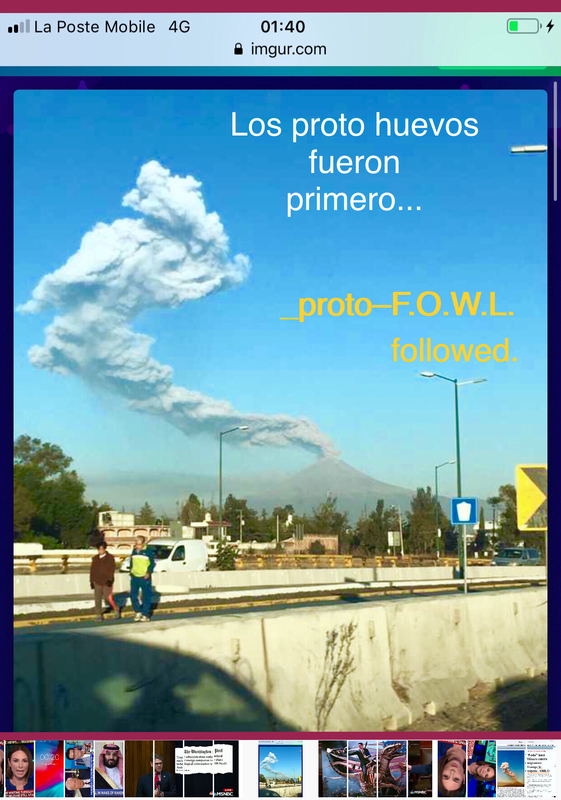 Mean, while the 45Th President of the EEUU is busy jerking–around in Matamoros, Jacob the border expert is reporting that massive formations of ´low-lying’ mountains, or what appear to be mountains —maybe it’s just S.M.O.G.— are creeping from the vicinity of California Highway 101. Publicado el 30/03/2019 por Armando Segovia. Esta entrada fue publicada en Las Postales de Armando Barbas. Guarda el enlace permanente.